Are Multi-Family Homes Multiple Headaches? If you’re considering purchasing a multi-family home, you may be wondering how many problems it’s going to have. There is no reason why a building like this has to be any more trouble than a single-family residence. It all comes down to vetting your individual renters as they apply for apartments. As long as you have a consistent application research process, you’ll avoid many of the problem renters that seem to cycle through houses like this. Obviously, their credit history is important. You need to make sure they don’t have any evictions or lawsuits for unpaid rent in their past. If they do, this could spell trouble for you as the building’s owner. Rather than handling issues as they come up, they may be just as likely to skip out on the rent and leave you with an unoccupied space. Their family size is also important. You’re only allowed to have so many people per square foot. If you go over this, you could be cited for safety problems and end up being fined by housing inspectors. Rather than go through this, it’s better to confirm who will be living there at all times. Also, if your tenants are going to have visitors for an extended period of time, they should check with you or the management company first. This will ensure a safe multi-family home for everyone and keep you out of any legal trouble. 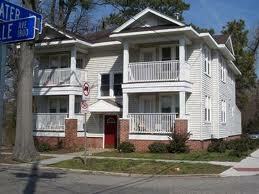 In terms of insurance and property maintenance, a multi-family building is a very profitable investment. You only have to pay for one policy premium and one landscape company, yet you are receiving rent from multiple families. This should more than cover any monthly maintenance costs and allow you to make a significant profit. In fact, this is why many real estate investors seek out buildings like this in the first place. With fewer financial demands, they are able to increase their rental income quickly. If you’re curious about multi-family homes in your area, check out your local listings. Talk to local real estate agents to see if they have any properties available. Once you have a few choices, you’ll be able to visit each of them and purchase the one you prefer. As long as you work with your tenants fairly, it should be easier to retain long-term quality renters that help increase the building’s value. Multi-family homes don’t have to cause multiple headaches as long as you educate yourself first. They are an excellent way to jump into the real estate market and begin creating additional income.